We were so pleased to visit Estaires, northern France, to talk to Pascale Algoet, the deputy mayor, and Regine Henneon of the town’s historical society. 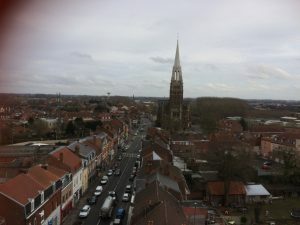 As part of Heart of Conflict, we’re working with Camborne Youth Band on an extraordinary trip planned for August this year to the Menin Gate and Estaires. Estaires has a special resonance for the Camborne/Redruth area as many Cornishmen were stationed there in World War One. At the outbreak of war in 1914, many miners from Dolcoath’s St John’s Ambulance team joined the Royal Army Medical Corps went out to the Front, led by local doctor Captain William Blackwood. Descendants of these men still live in Camborne and Redruth, including Chris Negus, the grandson of Fred Negus. The group sailed from Southampton to Le Havre, then travelled straight to Estaires where they were stationed for more than a year. Amazingly – Corey Williams, the great great grandson of Fred Negus, is now in Camborne Youth Band.The plan is to travel back to Estaires 100 years on from the War and once again play the bugle in the town. We’ve been discussing plans with Pascale and Regine. 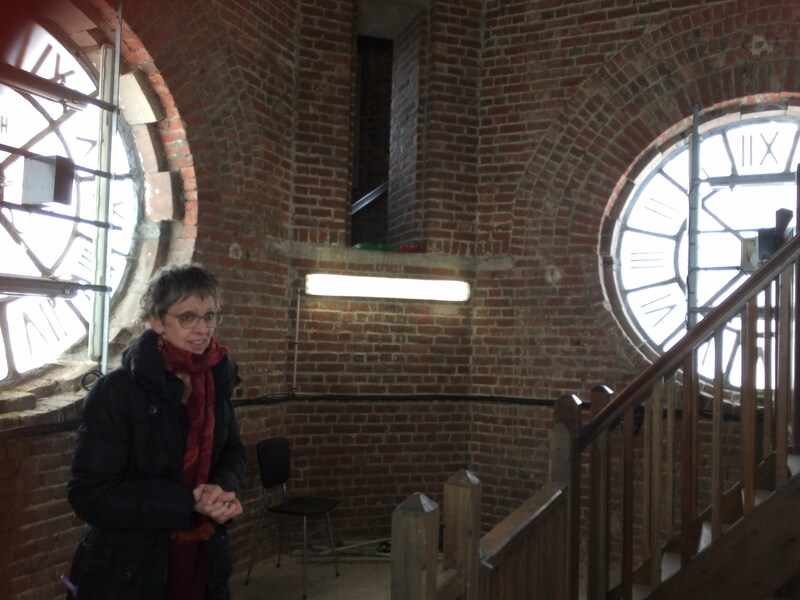 Here Pascale takes us on a tour of Estaires Town Hall’s very impressive Bell Tower.